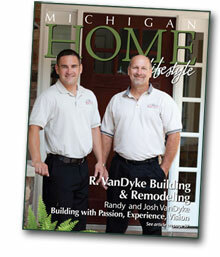 Founded in Southwest Michigan in 1981 by Randy, R.VanDyke has taken an attentive approach to learning and building, moreover, to taking our customers’ needs and desires for their homes from the initial meeting all the way to the completed home. We work very hard to bring clarity to our clients’ vision. Combining quality finishes with an uncompromising attention for the details that go into the home, and for the details that are happening on site. We desire to give our clients an experience that is both fun filled and tailor fit to their busy life, because we are not just building a house, we are building your family’s home. We take this seriously. It’s what inspires us and helps us create something that is one-of-a-kind. 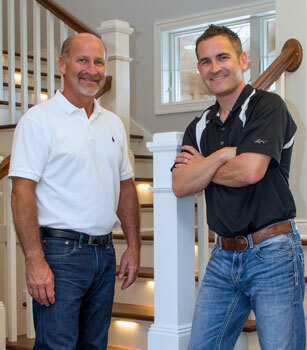 Together, Randy and Josh bring two generations of experience, great vision and ideas, and are dedicated to helping make your homebuilding or remodeling experience great! We know that the homes we build are very much a result of the dedicated tradesman, design professionals and companies we work with. We seek out and work to build great relationships with these creative thinking, passionate, enthusiastic individuals who put some of their own heart and soul into each home we build. We have worked with many of them for years. Collectively the desire is to bring you an exceptional experience, and create a finished home that is beautiful. a commitment to high-quality building.